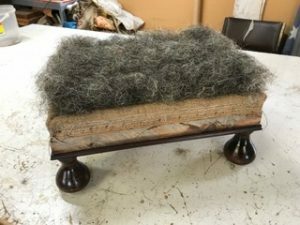 Provincial Upholstery was opened in the Southern Highlands of NSW in 1994 by Carlos Rodrigues, however his experience dates back to his childhood in Portugal. Carlos has come to know the upholstery trade inside out and has exclusive contacts worldwide. His experience and knowledge has allowed him to source and import the highest quality upholstery supplies and materials from around the world, to ensure his traditional upholstery is the best in Australia. Together with his wife Fernanda, Carlos has worked closely with the Australian Government of New South Wales since early 2006 in his ongoing restoration project of Government House. Carlos’ work has included other heritage work within Sydney Living Museum such as the project on Vaucluse House. 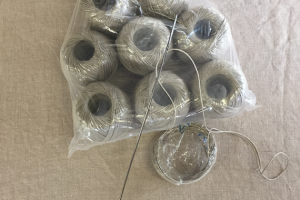 This lacing twine is used to lace the springs as suited to traditional upholstery. 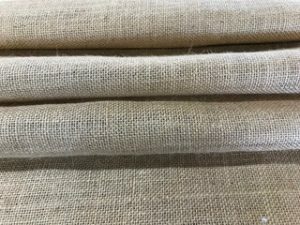 Further discussed in the our blog about European Linen, Linen/flax producers in other parts of the world are effected by different climactic conditions which are not as favorable to the growth of flax fibres. For example, flax plants that are grown in North Africa where the climactic conditions are dry and hot, produce a shorter fibre. When these fibres are processed into fabrics or twines they have a tendency to break at lower thresholds. This results in a poorer quality finished product leading many to turn away from traditional flax/linen. 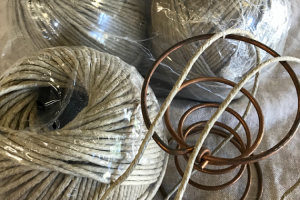 The alternative is polyester twine, and while there isn’t anything wrong with its use, Provincial Upholstery prefers to use high quality traditional materials wherever we can. The herringbone weave and cotton composition makes this webbing extremely robust – one of the reasons it has remained a prominent upholstery material in the United Kingdom and other parts of Europe for centuries. 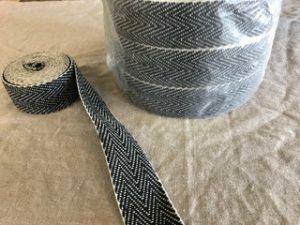 This webbing’s popularity is due to the aesthetic strength it possesses, in addition to the fact that this webbing does not stretch as the common Jute webbing. Purchase our exclusive upholstery supplies, imported directly from the manufacturers by clicking the link below & visiting our shop. Should you have any questions about these materials, we welcome you to contact us. To shop our unique upholstery supplies & order online, visit our Shop or Contact Us.